There should be two for each glass. You can mix flavours if wished but it is a good idea to start with one flavour until you know which flavours that you prefer. 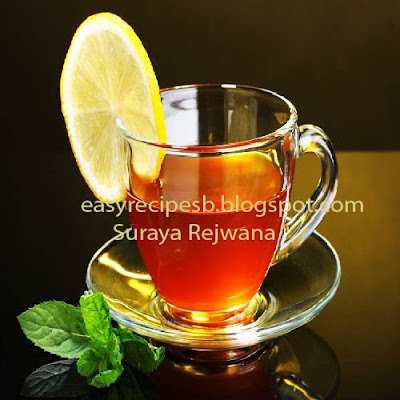 Allow to sit for a minute or two to allow the citrus oils to release and infuse the water The tea should be weak to normal, not strong-tasting. Then sweeten to taste if wished.Finally add a slice and enjoining it.